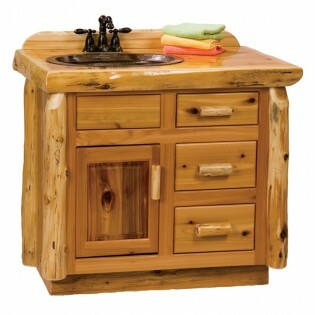 This log vanity will complete your rustic bathroom decor. 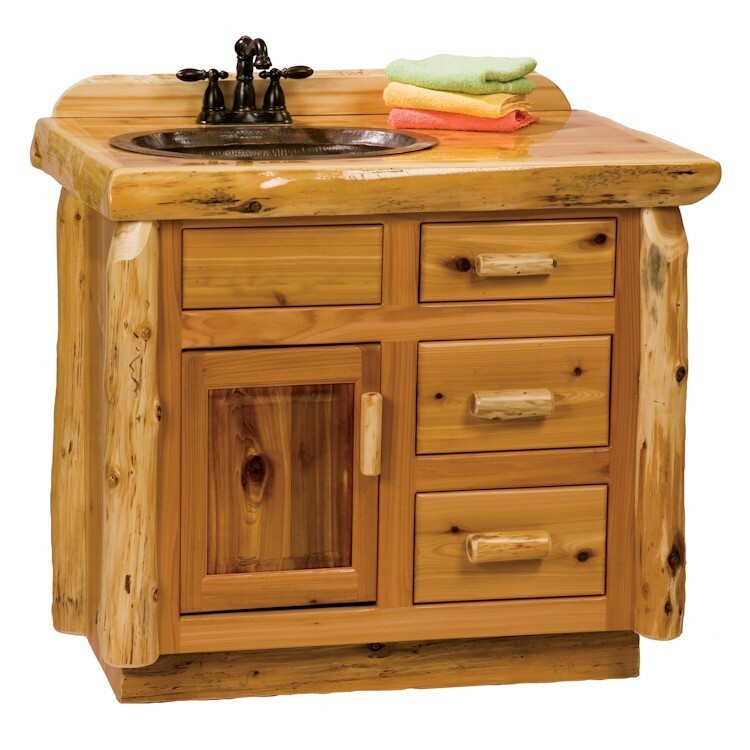 It is hand crafted and made of hand peeled white cedar logs giving it natural beauty and character and is clear coated with a catalyzed lacquer finish for extra durability. The vanity top has a liquid glass finish making it moisture resistant. Base Dimensions (not including overhang of top) 36"W x 24"D x 34"H.